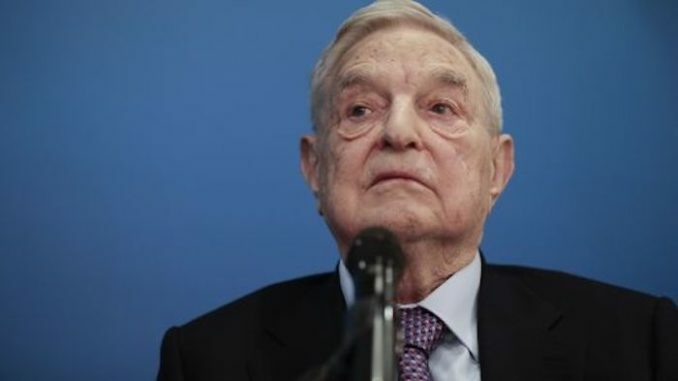 George Soros paid half a million dollars to far-left activists who accosted Florida Attorney General Pam Bondi at a movie theater, IRS tax returns show. The tax documents, obtained by The Daily Caller, reveal the payment was made in 2017 to an activist group. Organize Florida, the group that hounded Bondi from a Florida movie theater, received $500,000 last year from the Open Society Policy Center (OSPC), OSPC’s tax forms reveal. Dailycaller.com reports: OSPC is the advocacy arm of Soros’s Open Society Foundations, which the billionaire uses to advance his left-wing worldview around the globe. Organize Florida activists yelled at Bondi, a Republican ally of President Donald Trump, about the president’s immigration and health care policies during the protest in June. One of the protesters spit on Bondi’s head, she said afterwards.